For such a cool device, the iPhone X hasn't been doing very well in the cold. 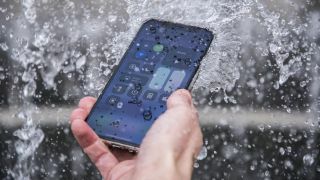 We recently reported that some users discovered that the new handset's display would freeze up when the temperatures jumped to freezing after walking outside, but a fix is fortunately already here. The remedy is in iOS 11.1.2, which specifically "Fixes an issue where the iPhone X screen becomes temporarily unresponsive to touch after a rapid temperature drop." I'm currently in a part of the US where we're still sweating and running around in T-shirts, so I can't properly test the patch. If it works, that's an impressive turnaround for Apple considering how serious the issue seemed at first. We only heard about the issue barely a week ago, and already it now appears that citizens of cities like Chicago can once again venture from their warm homes and into the cold, cruel snow and know that this time their phones will be there to offer small comforts. You might want to download the patch even if you're an iPhone X owner who doesn't live in the colder reaches of the world, as the patch "Addresses an issue that could cause distortion in Live Photos and videos captured with iPhone X."